Reienactors of Thomas Jefferson and Benedict Arnold stand in front of Poplar Forest, Jefferson’s summer home in Forest. The Lynchburg Region is blessed with an abundance of natural beauty, history, culture, arts, and outdoor recreation. Mountain vistas, hiking and biking trails, lakes, rivers, parks, historical sites, museums, and festivals are just some of the exciting ways to spend time in this lovely and diverse region. The Blue Ridge Parkway, one of America’s most scenic byways, provides breathtaking views, along with hiking, biking, picnicking and wildlife. The Appalachian Trail runs through Amherst County, and Lynchburg’s Blackwater Creek Trail is a favorite spot for runners and walkers. The Natural Bridge Appalachian Trail Club, an official Appalachian Trail Club, maintains a 90-mile stretch of the trail and has regular hikes throughout the season. The Happy Hikers, a subgroup of the organization in Lynchburg, hike every Thursday. Membership is open to both groups. Mountain biking is a popular activity here. 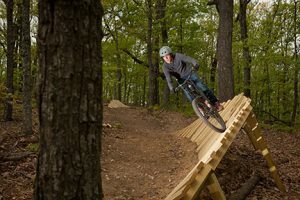 There are trails for all skill levels in Lynchburg and Bedford County, and the local mountain biking club, Greater Lynchburg Off-road Cyclists, hosts group rides and clinics. The Storming of Thunder Ridge is Lynchburg’s only local, fully-supported road cycling event, including ride options ranging from 27 to 100 miles. The event is a fundraiser benefiting the YMCA of Central Virginia. The James River, Virginia’s largest river, is a great spot for boating, fishing, canoeing and kayaking. Percival’s Island is a familiar landmark in downtown Lynchburg. Visitors may see herons, migrating waterfowl along with native plants and animals as they follow the paved trail that bisects the natural area. The James River is the backdrop for any visit to the island, featuring views of both calm pools and rushing waters. The island is approximately 1.5 miles long and is maintained in its natural state. There are many spots where the James River is accessible and fishing is permitted. RiverWalk trail is the ultimate urban/scenic nature walk. Traveling along Riverfront Park through historic downtown Lynchburg, the trail crosses Percival’s Island and ends in Amherst County. This flat, handicapped accessible, paved trail is popular with hikers, bikers, and runners all year long. The Liberty Mountain Snowflex Centre is the country’s premier point for year-round skiing, snowboarding, and tubing. Comprised of beginner, intermediate, and advanced slopes, plus a two-story lodge, this high-performance playground is the first of its kind in the U. S.
Randolph College’s Winfree Observatory serves not only students, but also the community through public openings where residents can view the stars. The Belk Astronomical Observatory at Lynchburg College’s Claytor Nature Study Center provides the opportunity for astronomical study and night sky viewing at monthly public open houses. The Lynchburg Bird Club meets monthly September through May and holds a Christmas Bird Count sponsored by the National Audubon Society. The club also monitors the bird population in the Old City Cemetery and sponsors hawk watches. Dozens of running events take place throughout the year. Each September, Lynchburg welcomes thousands of runners and walkers for the Genworth Virginia 10- and 4-Miler. The Hill City’s premiere race attracts not only runners from throughout the Region and the U.S. but elite runners from Kenya, Ethiopia, and other countries. Lynchburg is recognized as a “Runner Friendly Community” by the Road Runners Club of America from 2017 through 2022. 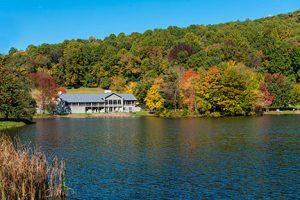 Smith Mountain Lake in southern Bedford County spans more than 20,000 acres and provides a variety of recreational opportunities—from speed boating and sailing to tubing and bass fishing. The Big Bass Tour, the nation’s premier big bass tournament, is held annually at the lake and attracts professional and amateur fishermen from across the U.S.
Other lakes include Holliday Lake in Appomattox County; Mill Creek, Stonehouse, and Thrashers lakes in Amherst County, and Leesville Lake in Campbell County. Public and private golf courses are located throughout the Region. Public courses include Colonial Hills, Cedar Hills, and Poplar Forest golf courses in Lynchburg; Poplar Grove and Shadow Ridge in Amherst County; Mariners Landing and The Westlake at Smith Mountain Lake in Bedford County, and Hat Creek golf course in Brookneal, Campbell County. 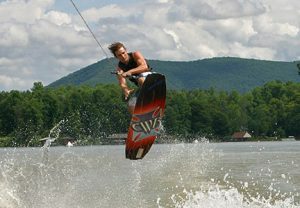 Public parks offer all types of outdoor and family recreation throughout the Region. Colleges in the Region participate in a full spectrum of individual and team sports, including NCAA Division I football, basketball, and baseball. The Olympics-style Virginia Commonwealth Games are held annually and draw athletes and spectators from throughout the state. athletes from all over the country. The Lynchburg Hillcats, an affiliate of the Cleveland Indians, play minor league professional baseball at Lynchburg City Stadium. The Town of Bedford is home to the National D-Day Memorial, which honors the American and Allied soldiers who died during the D-Day invasion of Normandy, France. More than 60,000 visitors from around the world visit the memorial each year. 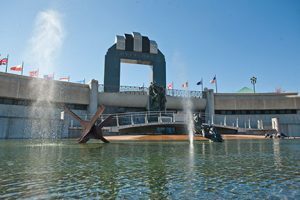 The 10-acre monument features a 44-foot 6-inch tall granite arch engraved with the Normandy landing’s code word, Overlord. Beneath is a statue, The Final Tribute, that consists of a bayonet affixed to a rifle topped with a helmet, a silent testimony to the great sacrifices made to ensure freedom. 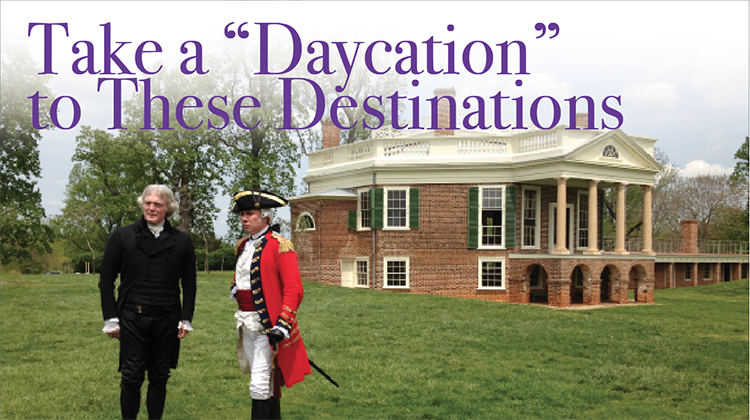 At Thomas Jefferson’s Poplar Forest in Bedford County, visitors can learn about the third U.S. president, his country retreat, and the enslaved population that lived and worked there. Archaeological excavations are ongoing at Poplar Forest in an effort to restore the plantation home and grounds to their Jefferson-era appearance. The site hosts an Independence Day festival that includes music, crafts, demonstrations, and a reading of the Declaration of Independence. Appomattox Court House National Historic Park, where the Civil War officially ended, includes more than a dozen structures, among them the McLean House, where Confederate General Robert E. Lee surrendered to Union General Ulysses S. Grant. The Lynchburg Museum System operates two museums: Point of Honor and the Lynchburg Museum. Point of Honor has been home to some of 19th century Virginia’s most remarkable citizens, including Dr. George Cabell, friend of Thomas Jefferson and physician to the patriot Patrick Henry. The Lynchburg Museum showcases Lynchburg’s history through exhibitions of artifacts, photographs, and artwork. Amazement Square Children’s Museum is an award-winning, hands-on children’s museum located in downtown Lynchburg. The museum offers four floors of hands-on, interactive exhibits designed to make learning fun. The Museum serves more than 90,000 people a year from all 50 states and more than a dozen foreign countries. Legacy Museum details Appomattox’s journey from civil war to civil rights. The Appomattox County Historical Museum and Library, the former Appomattox city jail, offers tours and displays of Civil War artifacts. Outside is Memorial Park that honors the dead from the Civil War to Vietnam. Nearby is the Clover Hill Village Museum. The Civil War Trails give visitors the chance to explore Virginia’s back roads, learning history while driving and walking through some of the most beautiful landscapes anywhere. Lynchburg is home to an impressive 12 sites, and other stops are located throughout the Region. 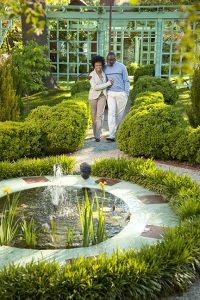 Visitors enjoy the garden of Harlem Renaissance poet Anne Spencer. Harlem Renaissance poet Anne Spencer’s home and garden, Edankraal, on Pierce Street in Lynchburg, are included on the National Register of Historic Places and designated a Virginia Historic Landmark, a Friends of the Library USA Literary Landmark, and a Historic Landmark by the Association for the Study for Afro-American Life and History. Avoca, a Victorian-era house museum in Altavista, sits on property once owned by Charles Lynch, brother of Lynchburg’s founder John Lynch. Avoca, a popular wedding venue, is owned by the Town of Altavista and hosts tours and annual events. The Bedford Museum and Genealogical Library showcases Bedford’s history from Native American life, through the Civil War, and further into the 20th Century. Historic Sandusky, originally the home of Major George Christian Hutter, is a public museum owned and operated by Lynchburg College. The Federal-style home is best known for its role in the Civil War as Union headquarters during the Battle of Lynchburg. It is a Registered Virginia Historic Landmark and is listed on the National Register of Historic Places. The Legacy Museum of African American History in Lynchburg focuses its exhibits on the Region’s African American experience. The Monacan Indian Museum in Amherst County provides insights into the experience of this indigenous nation. This year, after decades of hard work, the Monacan Tribe received federal recognition. 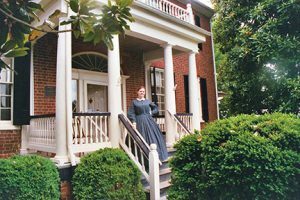 The Museum of the Confederacy in the town of Appomattox offers exhibitions showcasing Civil War artifacts, as well as photos, letters, and diaries. 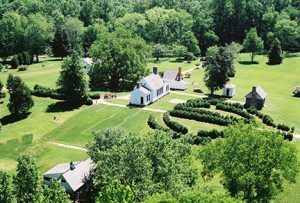 Red Hill in nearby Brookneal, Va. is Patrick Henry’s last home and burial place. The site includes a museum, seven historic buildings, the Patrick Henry grave site, and the grounds overlooking the Staunton River Valley, which appears much as it did in Henry’s time. Several beautiful, historic cemeteries are located within the Region. Old City Cemetery in Lynchburg is the oldest municipal cemetery still in use in the state of Virginia, one of the oldest such burial grounds in the United States, and a Virginia Historic Landmark on the National Register of Historic Places. 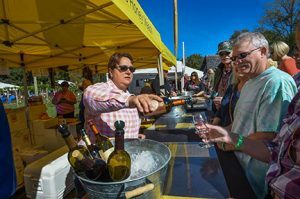 Wine festivals include the Virginia Wine and Garlic Festival at Rebec Vineyards, the Summer Solstice Wine Festival at Lazy Days Winery, both in Amherst County; and the Horse and Hound Wine Festival at Peaks of Otter Winery in Bedford County. For beer enthusiasts, there are craft breweries throughout the Region, many of which have received national recognition. In Altavista, a meadery serves its honey-based libation to old and new fans, Apocalypse Ale Works in Forest, Virginia, is the first brewery since Thomas Jefferson brewed in the 1800 at Poplar Forest and distributes kegs all over Virginia. Fifth and Federal, a whiskey and bourbon bar in Lynchburg, serves a wide variety of sophisticated Southern fare and Iron & Ale serves some of the best local and nationally trending craft beer. The Smith Mountain Lake Brews and Tunes Festival is held in the spring in Moneta. The Region also hosts numerous annual festivals, including apple festivals in Amherst and Bedford counties and Get Downtown, a street fair that draws tens of thousands of people to downtown Lynchburg. 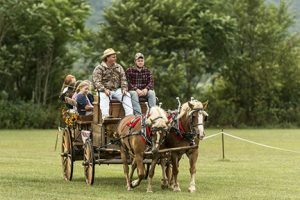 The Campbell County Heritage Festival honors that county’s rich cultural heritage, and Amherst and Bedford counties host old-time county fairs with midway rides, livestock, contests, and exhibits. Uncle Billy’s Day in Altavista has something for everyone with live music, crafts, food, car show, flea market, children’s activities and fireworks. The Historic Appomattox Railroad Festival, held the second full weekend in October, is a family-friendly festival that commemorates the Norfolk & Western Railroad’s donation of the Appomattox Depot to the Town of Appomattox. The annual Batteau Festival lasts for eight days and stretches from Lynchburg to Maidens Landing near Richmond. 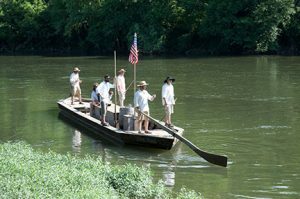 The James River Batteau Festival is an eight-day journey down the James River from Lynchburg to Maidens Landing near Richmond using recreated late 18th and early 19th century cargo boats. A pre-launch event is held in downtown Lynchburg. The Monacan Indian Nation PowWow is held annually in May in Amherst County. Native American singers and dancers come from all over North America to participate in dance competitions. Native American food and crafts add to an exciting day. The Clifford Sorghum Festival in Amherst County hosts the Virginia Jousting Tournament. Every year, the Town of Bedford’s Centerfest attracts more than 10,000 people for a weekend of arts and crafts, food, and entertainment. The Peacock Festival at Five Dogs Farm in Amherst County benefits abandoned children in Kenya. Held in the spring, the festival features demonstrations, jewelry artisans, face painting, animal petting and feeding, live music, and food. Numerous celebrations and observances are held throughout the Region to honor the area’s veterans. Bedford is the home of the National D-Day Memorial, which honors the American and Allied soldiers who died on June 6, 1944, during the D-Day invasion of Normandy, France and is celebrated the sixth of June each year along with other special events. In Lynchburg, Monument Terrace is the site for events that honor veterans.